Like it or not, we have to admit that Microsoft Office is still the most popular office suite out there. The problem is, Microsoft Office is not too good option for those who need to make a savings. If you are aware enough to your financial condition — especially organizations with tens of computers — there are free office suites you can use to replace Microsoft Office. 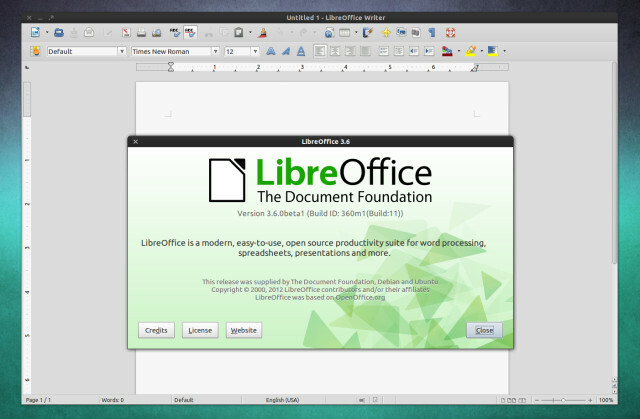 Office suites like LibreOffice are intended to be a free alternative to Microsoft Office. If you want to migrate from Microsoft Office to a certain free office suite, don’t worry about the existing documents you have created with Microsoft Office. Most free office suites, including LibreOffice, are compatible with Microsoft Office. Here are 6 office suites best free alternatives to Microsoft Office. OpenOffice has long been known as a free office suite alternative to Microsoft Office. This office suite is more familiar in the communities of open source, but it is available for major platforms outside of Linux, including Windows and macOS. 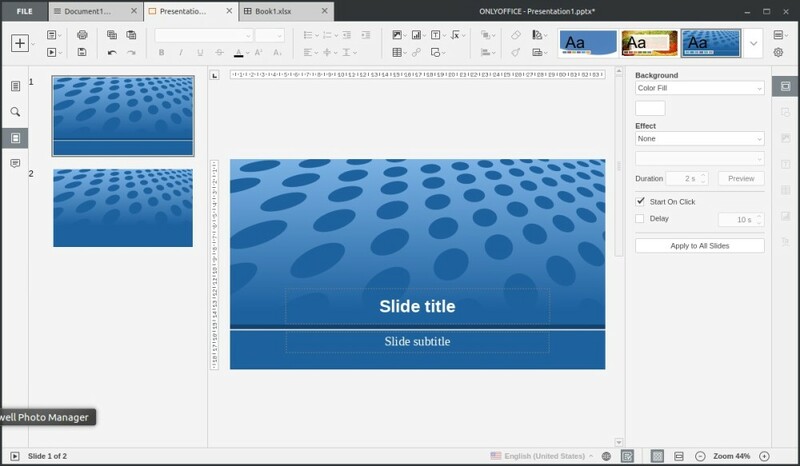 Apache OpenOffice is an open source office suite that consists of six applications to allow you working with spreadsheet files, presentations, documents, images and even databases. Below is the list of applications provided by Open Office. LibreOffice is built from the same core as OpenOffice and also released as an open source software. LibreOffice becomes a default office suite in most Linux distributions, but it is also available for macOS as well as Windows. It also contains six applications to allows you working with documents, spreadsheets, presentations, images and databases. LibreOffice is also compatible with Microsoft Office so you can open the documents you created with Microsoft Office as well as edit them. LibreOffice uses ISO standard OpenDocument as the native format to save documents for all of its applications. But, you can also save your documents in other formats including DOCX. Here is list of applications provided by LibreOffice. FreeOffice is an old player in the office suite market. It’s developed by a German company SoftMaker. 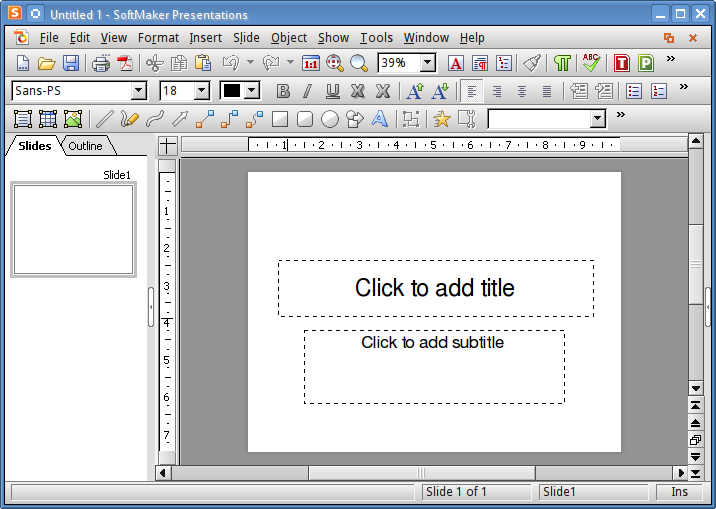 This suite consists of three applications; TextMaker (word processor), PlanMaker (spreadsheets) and Presentations (presentations). You can download and install this suite for free, but you will asked to enter your email. At the first launch of the app you will be asked to enter a product key like Microsoft Office. Don’t worry, you don’t need to pay anything for this key. You can find the key on the email sent by SoftMaker. FreeOffice is available for Windows and Linux. Sorry for Mac users. It can takes weeks to familiarize yourself with the new interface of the office suite you switched to. WPS Office may can cut off the adaptation period since it has an interface that is very similar to Microsoft Office. In fact, this office suite also uses the standard document format of Microsoft Office. For instance, if you create a new document, your file will be saved in the DOCX format by default. As you can see from the screenshot above, the layout menu and toolbar of WPS Office is extremely similar to Microsoft Office’s. WPS Office itself consists of three applications, Writer, Presentation and Spreadsheets for creating documents, presentations and spreadsheets respectively. This office comes with a tabbed interface to allow handle multiple files at once. WPS Office is available in two versions, free and professional (paid). This suite is available for mobile and desktop platforms. 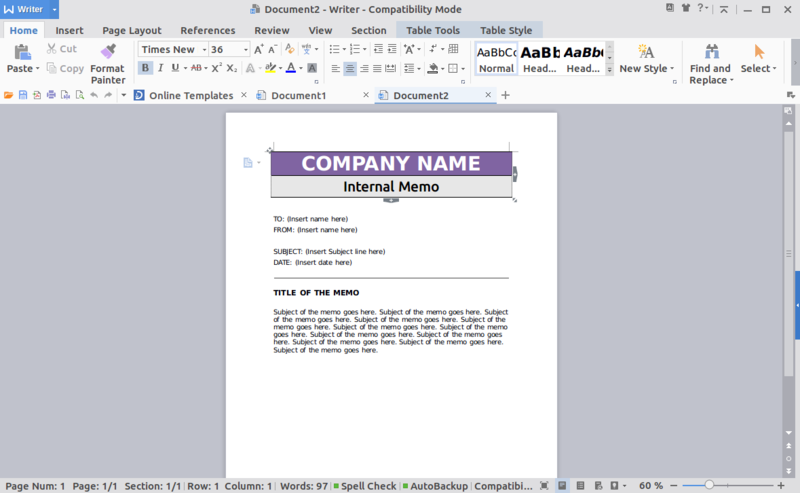 The desktop platform version of WPS Office is available for Windows and Linux. ONLYOFFICE is available in several editions. One of the editions offered by this suite is ONLYOFFICE Desktop Editors which you can install on Linux, Windows and macOS. The desktop edition of ONLYOFFICE is released as an open source software with the source code is available on GitHub under the GNU Affero General Public License v3.0. ONLYOFFICE itself consists of 3 applications to create documents, presentations and spreadsheets as well. This suite uses the standard document format of Microsoft Office like WPS Office. In addition to desktop-based office suites like mentioned above, there is also a web-based office suite you can use as a free alternative to Microsoft Office. Guess what? Yes, it’s G Suite, an office suite by Google. G Suite is a great option if you use internet on your daily basis and frequently work collaboratively with your team. 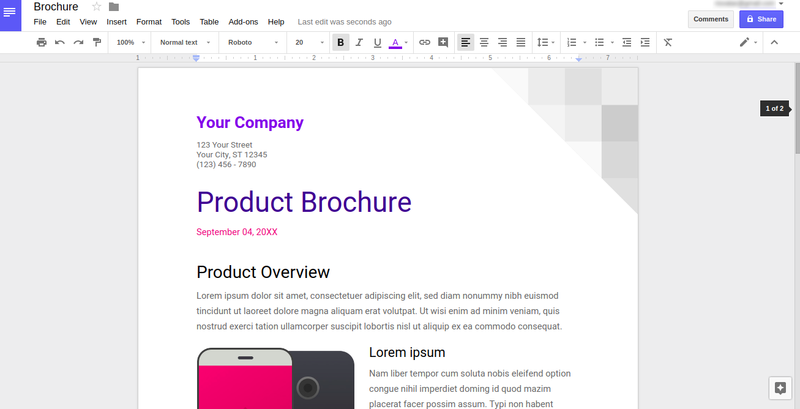 G Suite consists of several applications, including Google Docs, Google Sheets, Google Slides, Google Drawings and Google Forms. All documents you create with G Suite will be saved to your Google Drive account, but you can also download them in several formats. For instance, if you are creating a document using Google Docs, you can download your document in a DOCX, ODT or RTF format.